Regularly take your pulse. You want to be sure your heart rate is within your target range. When, and if, you ever feel it racing…stop doing what you’re doing immediately. The same applies if you notice heart beating irregularities. Notice your breathing. Are you getting out of breath easily? Are you incapable of taking deep breaths? Or, maybe your breathing is short and difficult. You must take the time to notice your breathing. Whenever it becomes labored…stop doing what you’re doing. Rest for a bit. In fact, sit down and sit up straight. This gives your lungs and respiratory system more room to function properly. Slowly begin to take deep breaths. Not breathing properly, or at a healthy pace, can lead to serious trouble. In the topic of this discussion’s case, his lead to lightheadedness. He became dizzy and could not control his body. Notice your vision. Is your vision getting blurred or difficult? Are your eyes becoming painful and/or dry? If so…stop what you’re doing. Rest your eyes. It’s as easy as closing them for a few minutes. While closed, gently massage them with your hands. This increases circulation and provides welcome relief. Pay attention to your exercise time. Time yourself, from the time you begin your exercise routine until you end. It’s also wise to notice the time throughout your workout. Whenever your body signals fail, if they do, you can always count on a clock or timer. Train yourself to start out exercising for only a few minutes and gradually work up your time and intensity level. Start monitoring water consumption. Drink water throughout your workout to avoid hydration. Many times your body will be thirsty, but not show any signs until it’s too late. Even when you are not thirsty, drink water. Hydrate yourself to avoid injury. This applies even if you are exercising in the water, or swimming. I certainly am not a fitness expert, but I definitely know what it takes to avoid overdoing it. And…I use these techniques on how to monitor yourself during exercise. You also need to. Protect yourself and remember that safety is always better than hindsight. 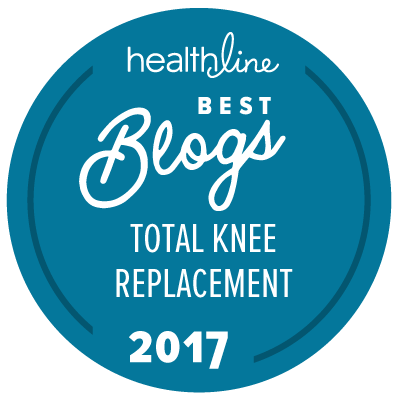 This award-winning site is owned and operated by Marie Buckner, a published author and tkr patient who has been living with various physicalities for over 30+ years. She enjoys sharing her experiences to help others going through the same thing. I’ve experienced short breaths the first time I went out for an exercise (e.g. running), but that was because my body was then adjusting to the change. Eventually I began exercising regularly and breathing normally now to keep my body fit and healthy.